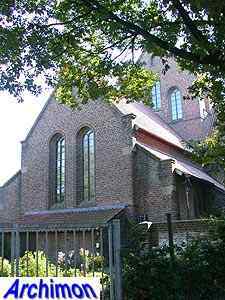 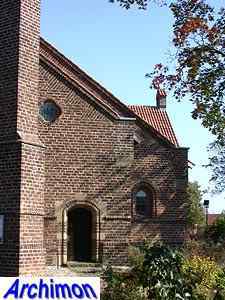 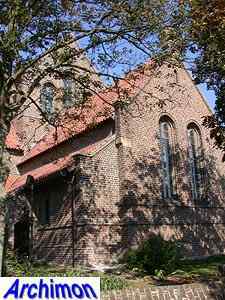 This church was built as a replacement for a 19th-century church elsewhere in the village. 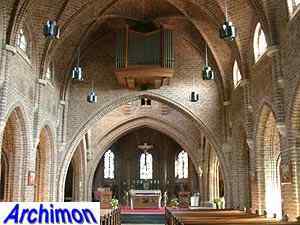 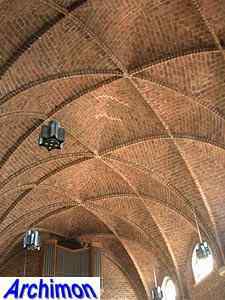 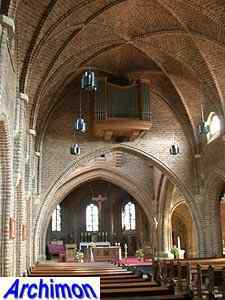 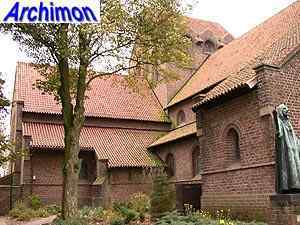 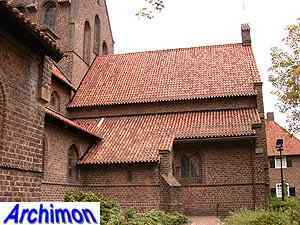 It's a christocentric church like so many designed by architect Valk. 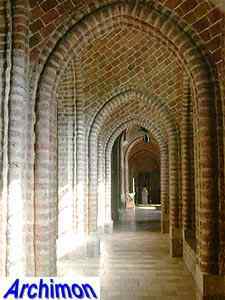 The central nave is wide, the side-aisles are narrow. 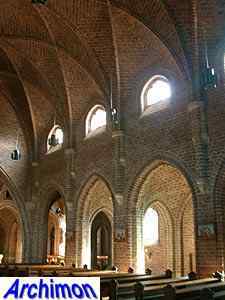 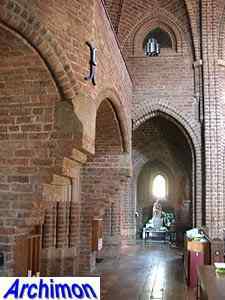 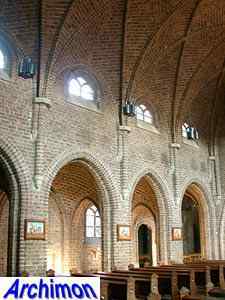 The transept also has three-aisles. 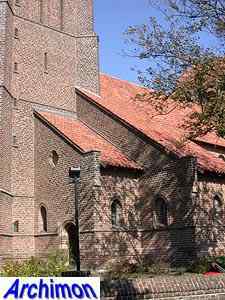 The choir is located at the crossing and is illuminated by a square crossing-tower. 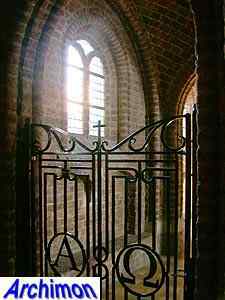 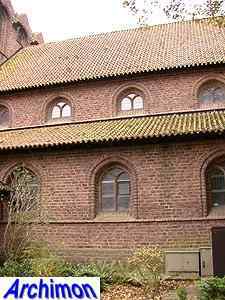 It's closed by a short apse. 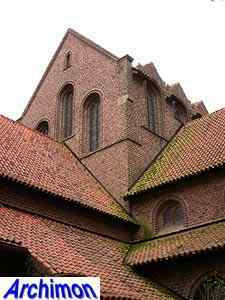 The crossing-tower is covered by a saddle-roof and originally was planned to be taller than the front tower. 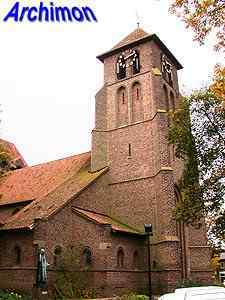 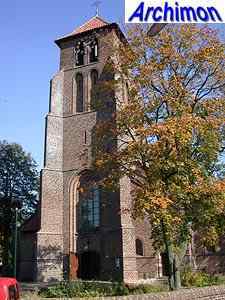 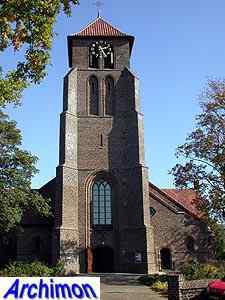 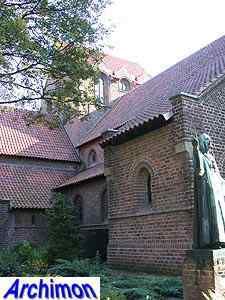 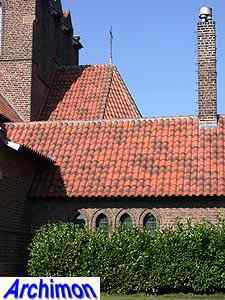 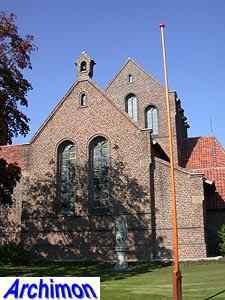 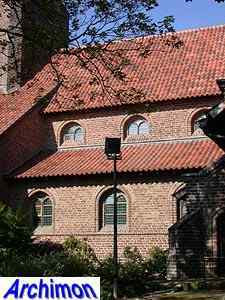 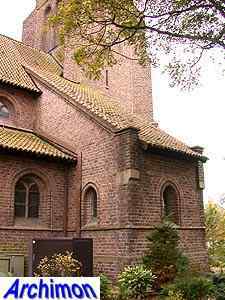 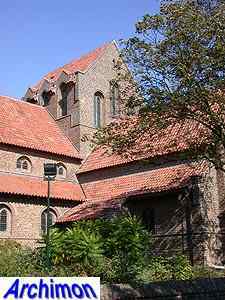 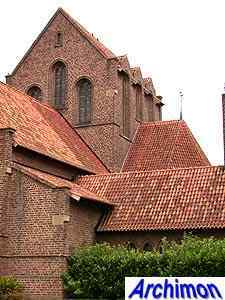 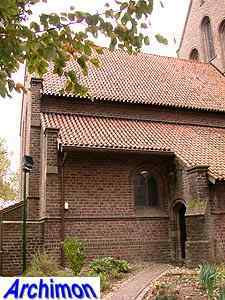 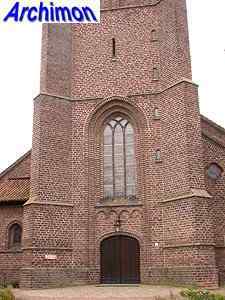 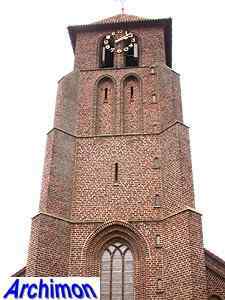 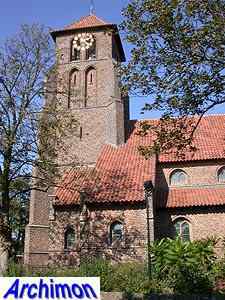 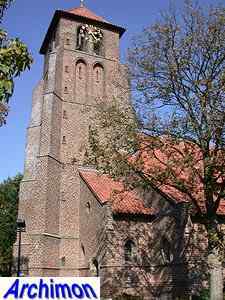 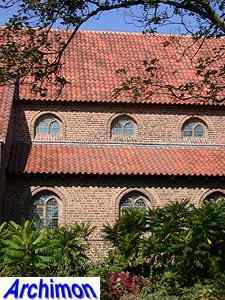 The church was designed in the Traditionalistic style typical for this period in Valk's career, but with a slightly less robust tower than usual, and shows influences of a moderate form of Gothic. 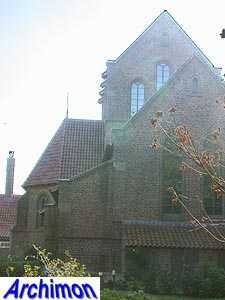 In the same period, Valk built the largely similar, but bigger church O.L.V. 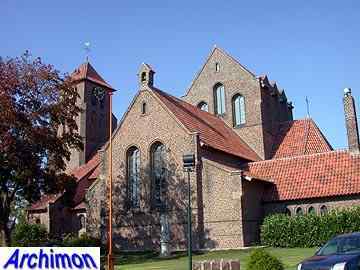 ten Hemelopneming in Doetinchem (G).